I think she’s very cute, plus she looks Irish and loves acting! I would definitely rename her, because I really can’t imagine her as a Neve, but I really like her. 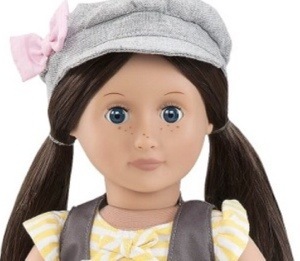 I’d probably add more freckles with a watercolor pencil though, and maybe some more lip color? Redhead! Need I say more? Might rename her though. I really like her! 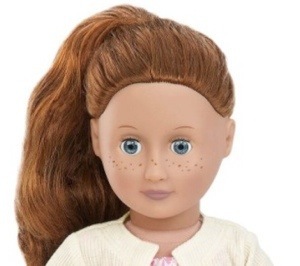 But I might change her name, since I already have a doll named Alexandra, and Alejandra is basically Alexandra, just in Spanish. I shalt get thou if only for thee’s skirt! 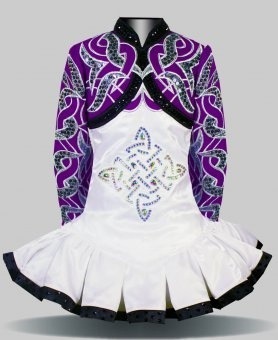 Seriously, her skirt looks like the goblet style Irish Dance Skirts. 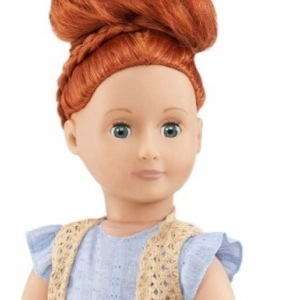 Those are my favorite Our Generation dolls that are currently available. Alexandra was not pre-named. 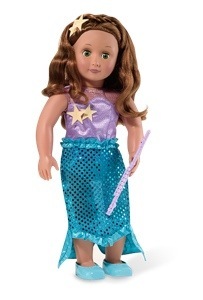 She is a 9 inch tall collector’s doll that is currently discontinued, who we named Alexandra. 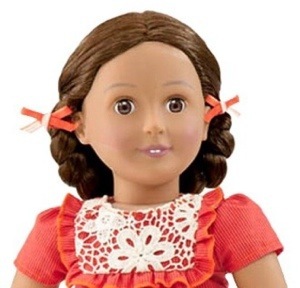 However, Alejandra is Alexandra in Spanish, so you could easily re-name her Alexandra. 🙂 Alejandra was from Target. I hope this helps! 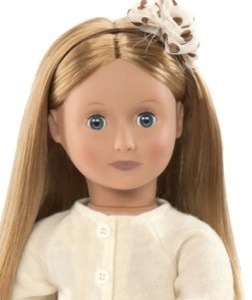 I am sorry that I can’t give you more information on any dolls named Alexandra.